The Luxury Hut Pawnbrokers Hatton Garden provides loans against your fine jewellery, diamonds, gold and luxury watches. We, aim to beat any high street pawnbroking loan rate. Want to raise cash fast? Get in touch with our pawnbrokers Hatton Garden in London and receive an instant cash loan offer. The Luxury Hut provides an instant pawnbroking loan without any credit checks, making the process of borrowing cash more straightforward and smooth. If you have any luxury assets like a diamond ring, gold or a Luxury watch, bring it to us and get it appraised from our expert evaluators. As one of the trustworthy high street pawnbrokers in Hatton Garden, we aim to offer you the highest amount of credit loan based on the actual value of your luxury item. With more than 40 years of combined experience in the industry, The Luxury Hut Hatton Garden pawnbrokers always work to make the pawnbroking process easier and comfortable for its valuable customers. We have expert evaluators who know how to accurately and precisely appraise as well as value any luxury assets. We will provide you with a cash loan offer based on the current market prices and many other significant factors that are considered when you pawn any luxury item. The experience and knowledge in the pre-owned luxury watch and jewellery industry of our valuation team at The Luxury Hut enable its customers to raise quick capital against luxury watches, diamonds and gold jewellery. Whether you want to raise fast cash for a new investment or to manage your short-term financial requirements, The Luxury Hut pawnbrokers Hatton Garden will provide you with the maximum possible credit loan against your luxury assests with no delay. Call one of our team members at The Luxury Hut on 0207 242 5411 and get a free valuation of your asset over the phone. Or, fill in our online form, providing all of the known details of your item. Our evaluators will analyse the given aspects and offer you an estimated valuation shortly after. If you are satisfied with our valuation, bring in your items along with a proof of ID or send it to us through a special delivery envelope that we may provide to you. We will precisely look at your luxury asset to determine a more accurate offer price, confirming all the details you provide. You will receive your money immediately via your preferred method of payment. A simple form of credit that offers a secure and efficient way to obtain cash from any luxury assets, you can always opt for a pawnbroking loan to raise money fast with no obligation. You can pawn your Rolex watch, pawn your gold or pawn a diamond ring and raise the funds you need, while still having the right to reclaim your asset whenever you want or after your loan term expires. With long-established and trustworthy pawnbrokers Hatton Garden, you can secure a pawnbroking loan with no hassle. At The Luxury Hut, we provide a professional, transparent, confidential and honest service to customers who pawn their luxury asset to us. We do not have any hidden charges. We offer an instant loan without any credit checks. Our maximum loan tenure is seven months, and all we ask for is a single payment at the end of the seven months. We charge interest only for the loan months you borrow. For example, if you acquire the cash for one month, you will pay the interest at the end of month one when you come to collect your item and so on. Customers can pay back the loan at any time within the contractual period, by paying off the loan amount along with its interest due. We will not charge any early exit fees or early redemption charges if you redeem your loan before the end of your loan term. At The Luxury Hut pawn shop in Hatton Garden, we pride ourselves on providing discreet, transparent and trustworthy pawnbroking service and an instant asset-based loan against jewellery, watches, gold, diamonds and other precious gemstones as well as gold coins. Visit our office at Hatton Garden, London (by appointment) along with a proof of ID. It has to be an official letter or document with your name and home address on, dated within the last three months. One of our professional evaluators will check your item with utmost attention and determine an accurate estimated value of it, based on its market price. We will together agree on the credit amount that you can borrow from us and then, offer you a credit agreement or pledge receipt. Once you sign this receipt, we will pay you immediately. At The Luxury Hut, we guarantee to keep your pawned item secure and safe within the loan period. The Luxury Hut pawnbrokers in Hatton Garden offer a quick and secure loan against watches, helping customers to unlock their used luxury watch’s value without having to sell it outright. With many years of experience in dealing with second-hand luxury watches, we always make an accurate valuation of a pre-owned watch based on its current market price and other relevant factors. These include the watch’s model, manufacturer, condition, age, original box and papers, rarity and servicing documents if any. 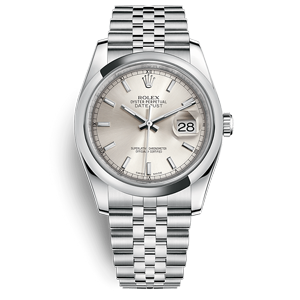 Pawn your Rolex watch at The Luxury Hut pawn shop in Hatton Garden and get an instant loan against it in a hassle-free way. We lend on all models of Rolex at any condition, including Rolex Daytona, Rolex Submariner, Rolex Datejust and more. As one of the trusted names in this industry, The Luxury Hut Hatton Garden pawnbrokers always provide a secure and confidential pawnbroking service without any credit checks, hidden fees and contract charges. 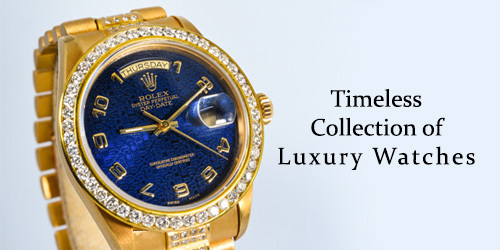 With us, you can rest assured to obtain the maximum credit loan possible against your luxury watch. Get in touch with our watch specialists’ team now to get an instant appraisal and expert advice. 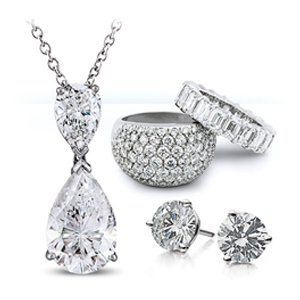 If you want to pawn any diamond jewellery item and raise the money you need, bring it to us at The Luxury Hut pawn shop in Hatton Garden for a free valuation and walk out getting the real value of your precious asset. As with any diamond specialist offering loans against diamond jewellery, we value a diamond considering the four C’s; clarity, colour, carat and cut. We assess each of these factors along with the precious metal with which it comes to ascertain the best possible value of your diamond jewellery piece. As soon as we agree to the amount you can borrow from us and our loan terms, we will provide you with a credit agreement. We ensure that you will obtain 100% of the agreed loan price without any credit checks. At The Luxury Hut, you can pawn your diamond ring, engagement ring, pendant or any diamond jewellery item with full confidence, without having to pay anything till the full term of your loan. We manage each part of our loan transaction quickly, securely and pay utmost attention to the safety of the pawned assets. 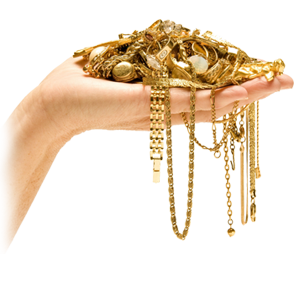 If you are short of cash and looking for an easier way to raise the money you need, pawn your gold jewellery with The Luxury Hut pawnbrokers in Hatton Garden and get a cash loan offer on the spot. Our in-house jewellery specialists can estimate the best possible value and the credit amount you can borrow from us against your gold jewellery piece. As one of the most trustworthy Hatton Garden pawnbrokers, we deal with every transaction made on gold items with utmost attention and care. Whether your gold jewellery item is broken, tangled or in any condition, we will assess your piece precisely and come up with an accurate valuation based on the prevailing market price. 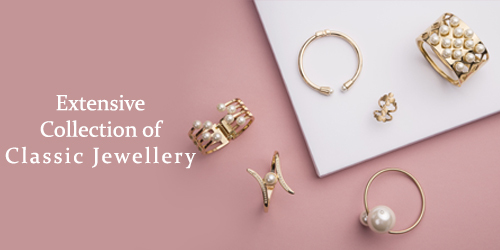 From gold rings, necklaces to gold bracelets and pendants of both classic and contemporary styles, we can help you in getting immediate access to the highest value possible of your item. At The Luxury Hut, we pride ourselves on our understanding and knowledge of market values and assessing valuable items like gold jewellery. You can get an initial valuation from our professional valuation team by filling up our online form. You can also bring in your item to be appraised at our Hatton Garden office or send it to us by post. Our in-house jewellery specialists assess each aspect of a precious piece to determine an accurate valuation. Once we both agree on the loan terms, we will provide you with a credit agreement that outlines the credit amount you borrowed and your repayments. Sign this pledge receipt and get your cash immediately. If you are looking to get a loan against jewellery or pawn your pre-owned watch, get in touch with trustworthy pawnbrokers in Hatton Garden, The Luxury Hut. With over 40 years combined experience in this industry, we have gained the trust of our valuable customers by offering a discreet, trustworthy and transparent pawnbroking service. We provide a free valuation on any luxury asset that customers are interested in pawning. Our expert evaluators are always available for lending support, professional advice and high-end customer service. The Luxury Hut Hatton Garden pawnbrokers provide loans against diamonds, exquisite jewellery, gold and luxury watches like Rolex, Cartier, Omega, Patek Philippe and more. Call us now on 0207 242 5411 or email at [email protected] and arrange an appointment to visit our office in Hatton Garden with your asset.